The countdown has begun! We are only one month away from the start of the third edition of the Global Cultural Leadership Programme (GCLP) in Amsterdam, on 28 October. During 5 days, 40 participants will develop and strengthen their cultural leadership and international skills through various workshops, activities and visits. 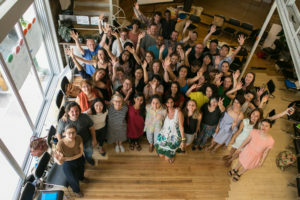 Our participants are cultural operators coming from 20 countries and will soon be part of a growing international network of cultural professionals. For this third edition, the programme will also include a site visit of one day and one night to the European Capital of Culture 2018 Leeuwarden, in the Friesland region of the Netherlands. 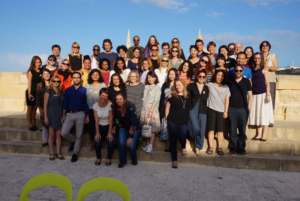 What is the Global Cultural Leadership Programme? The GCLP is the main training component of the Cultural Diplomacy Platform. Its main objective is to support young cultural managers emerging on the international scene, and coming from the 10 Strategic Partners of the European Union (Brazil, Canada, China, India, Japan, Mexico, Russia, South Africa, South Korea, USA) as well as from EU Member States. Through its framework, content and methodology, the GCLP specifically aims to improve the skills of cultural managers, as well as develop collaborative peer-to-peer learning and network building. The programme offers a set of learning modules, tools and manuals for practice-based learning, giving participants opportunities to build meaningful collaborations at the global level, and enabling them to develop fresh insights into international cultural collaboration practices. The activities of the GCLP will, address the managerial practicalities of establishing sustainable cultural exchanges, build long-term collaboration based on people-to-people contacts, and engage in productive co-creation processes. They will engage participants in an experience of international networking in a lean, practice-based and easily applicable learning framework. The first edition of the GCLP took place in October 2016 in Valletta, Malta and the second edition took place in June 2017 in Athens, Greece. You would like to know more about the GCLP alumni and what they think about the programme? Click here! We are looking very much forward to welcoming our 40 participants in Amsterdam!